Franky (Josh Wiggins) is a popular high schooler who has his world upended after his 17th birthday party leads to a drunken but reciprocal sexual encounter with his best friend, Ballas (Darren Mann). The encounter leaves Franky struggling to define his own sexuality, and bullying amps up at school when word spreads that he might be gay. Meanwhile, Dallas slowly becomes distant and even vengeful, terrified to come to terms with the prospect that their lifelong friendship might be something deeper. 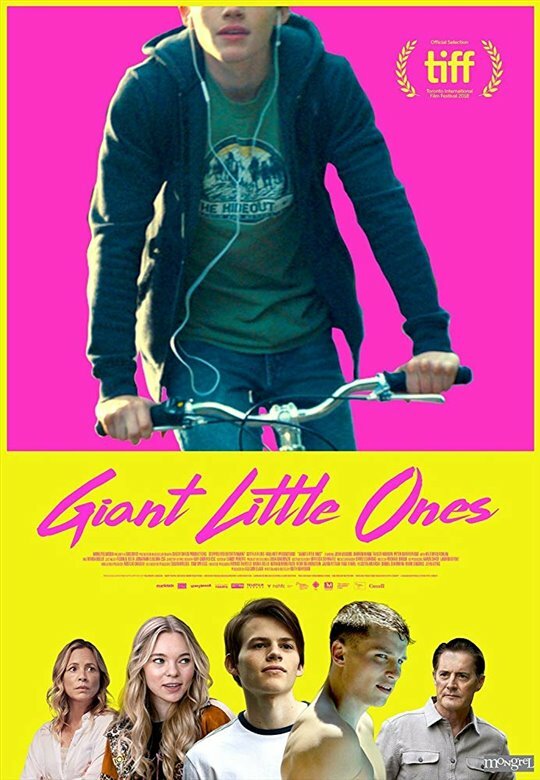 The second feature from Canadian writer and director Keith Behrman, Giant Little Ones is an engaging coming of age drama that sensitively deals with interesting and relevant themes of identity and questioning your sexuality. The most interesting thing about Giant Little Ones is that it doesn’t define exactly where its protagonists fall on the LGBTQ spectrum, instead showing them in a state of flux. This allows the film to function as a powerful look at the confusion that can come with trying to be yourself, especially when you still aren’t sure who you really are, and others are mercilessly bullying you for it. The film is carried by solid performances from Josh Wiggins and the rest of the young cast, as well as strong supporting turns by Maria Bello as his single mother, and Kyle MacLachlan as the father who left his wife for another man. There is a standout scene near the end between Wiggins and MacLachlan that is beautifully acted on both their parts. Giant Little Ones is now playing in limited release at TIFF Bell Lightbox in Toronto, tickets and showtimes can be found right here.